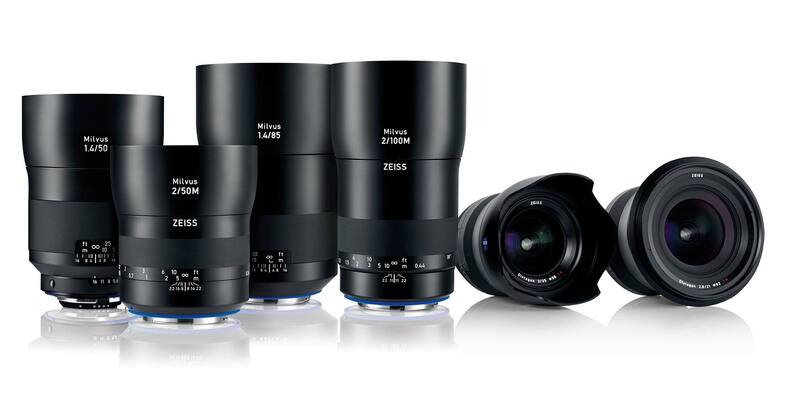 ZEISS introduced Milvus lenses at IBC, a new family of 6 Full Frame (24x36mm format) primes. They come in ZE (Canon) or ZF.2 (Nikon) mounts. Focus is manual. In other words, Milvus is a refresh of the ZEISS Classic line, with higher resolution and contrast. Cinematographers were interested in the wider rotation of the focus barrel — up to 270 degrees on some of them. The set consists of: ZEISS Milvus 2.8/21, 2/35, 1.4/50, 1.4/85, Macro 2/50M and Macro 2/100M. Additional focal lengths will be added in the future. 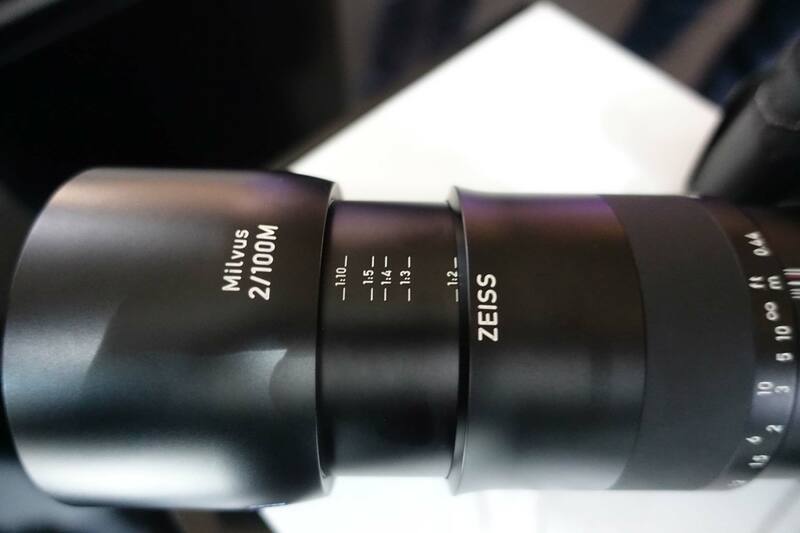 ZEISS Milvus lenses have a rubberized focus ring and all-metal barrel. They are protected against dust and spray. The metal lens shade is part of the product design will come with the lenses when they ship in October. Milvus lenses support DSLR cameras’ aperture priority, shutter priority, program and manual modes. They also send EXIF lens data to the camera (focal length, aperture, etc). 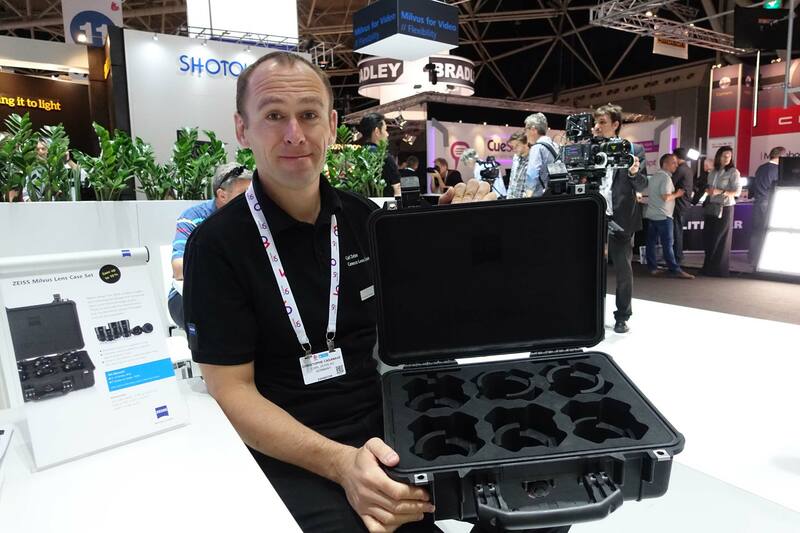 ZEISS Milvus Product Manager Christophe Casenave with specially designer lens case that comes when you order the complete set. Product Manager Christophe Casenave said, “All six ZEISS Milvus lenses have exceptionally long rotation angles of the focus ring for precise focusing.” The ZF.2 (Nikon) mount lenses have a “de-click” function for continuous, stepless movement between aperture settings. A screwdriver-like tool comes with the lenses–insert into slot at rear of lens mount and turn to de-click or click. The ZE (Canon) mount Milvuses don’t have an iris barrel: like most Canon EOS lenses, you control the aperture from the camera itself. Reminder: Nikon lens barrels rotate the opposite direction from Canon’s. See video with Christophe Casenave explaining Milvus (location is the ZEISS Optical Museum in Oberkochen). 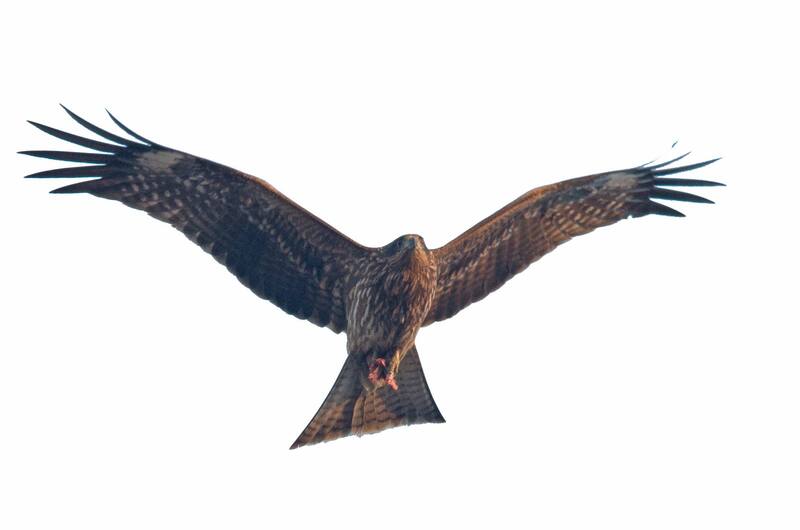 Milvus-migrans, also known as a black kite, in Japan. Photo: nubobo. ZEISS Classic SLR lenses are the ones with the silver-colored front rings and come in ZE or ZF.2 mounts: 2.8/15mm, 3.5/18mm, 2/25mm, 2.8/25mm, 2/28mm, 1.4/35 , 1.4/50mm, 1.4/85mm, and 2/135mm. 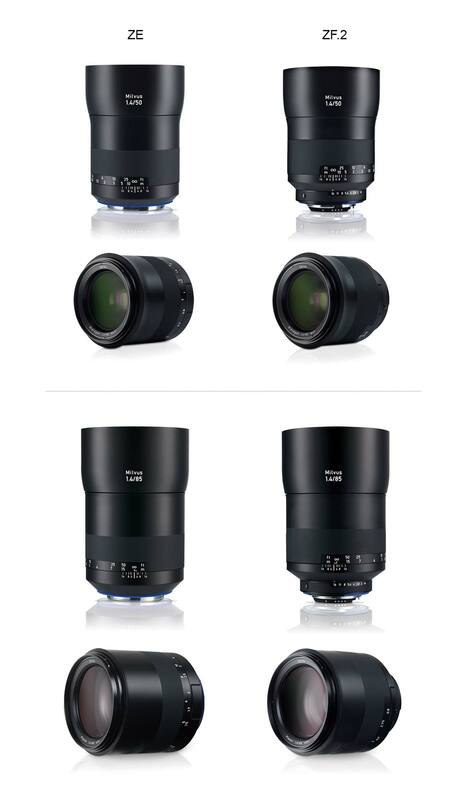 ZEISS Otus lenses in ZE or ZF.2 mounts are the top of the manual ZEISS SLR line at the moment: 1.4/55m and 1.4/85mm. ZEISS Batis are full frame E-mount auto focus lenses with OLED focus display: 2/25mm and 1.8/85mm.